This document contains the Product Category Rule (PCR) requirements for a Building Envelope Thermal InsulationEnvironmental Product Declaration (EPD) published in accordance with the EN 15804 and ISO 21930 standards. 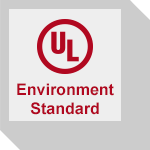 Therequirements for the background Life Cycle Assessment (LCA) project report used to inform the EPD are contained inUL Environment's Part A: Life Cycle Assessment Calculation Rules and Report Requirements. This Part B document,coupled with the Part A, conforms to the EN 15804, ISO 21930, and ISO 14025 European and internationalstandards for EPD reporting. The scope of this PCR applies to the product group "building envelope thermal insulation" and includes allcommercially available building envelope thermal insulation products according to the standards or technicalapprovals shown under Section 9, regardless of material type, including but not limited to: mineral fiber insulation(rock, slag or glass), cellulose-based insulation, polymer-based insulation, cellular glass, and textile-based insulation. Thermal insulation is an important technology to reduce energy consumption in buildings by preventing heatgain/loss through the building envelope. Thermal insulation is a construction material with low thermal conductivityand the purpose of these materials is to save energy, protect and provide comfort to occupants. Of the many forms,shapes and applications of thermal insulation, this PCR applies to insulation installed in building envelopes– i.e.,basements, slab on grade, elevated cantilevered slabs, fenestration framing, walls, floors, ceilings, parapets, roofcurbs, attics, and roofs. Note: There is a separate sub-category PCR for mechanical insulation that shall be used when creating EPDs forpiping, HVAC and other mechanical and technical insulation products. It should be noted that this PCR may also apply to the thermal insulation components of pre-fabricated buildingassemblies, including but not limited to, the assemblies and categories listed below. PCRs developed for theseassemblies and categories should cross-reference this PCR. • Insulated metal [wall] panels (IMPs) (CSI 07 42 13 19). This product category is covered in the InsulatedMetal Panels, Metal Composite Panels, and Metal Cladding PCR originally published by UL Environment,2012. This PCR applies to products sold and used in North American markets but may be manufactured within othergeographies. The system boundary for EPDs created using this PCR is cradle to gate with options. • Requirements of the EN 15804 standard as a European core EPD for consistency between declarations inEurope and the United States. • The calculation rules for the Life Cycle Assessment and Requirements on the Project Report are specified ina separate document as Part A of the Product Category Rules, available athttp://industries.ul.com/environment/transparency/product-category-rules-pcrs. The second edition of the Product Category Rules (PCR) Guidance for Building-Related Products and Services Part B: Building Envelope Thermal Insulation EPD Requirements, UL 10010-1 has been issued. Show All Show Less None available. Show All Show LessNone available. The cost to purchase this Standard varies depending on whether you are ordering a hardcopy, PDF or combination of the two. We also offer two different types of subscriptions: a one year and a three year.